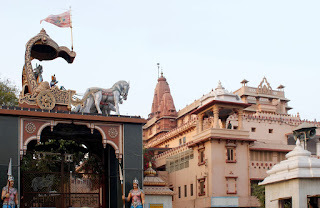 It was my third visit to Mathura and Vrindavan but the first time I am writing down about it . How to Reach Mathura - It is a city in Uttar Pradesh ,North India .The nearest airport is in Agra about 65 km away. Mathura is well connected through trains and road to the rest of India . I travelled with friends by road from Delhi to Mathura through the Greater Noida Expressway and it took us 2 and a half hour to reach with two short breaks . It was during this road trip that I got to see the famous film director Prakash Jha up close when we stopped at the food court for Coffee ( though I did not go up to him to pester for a photo-op and allowed him to have his coffee in peace). Clad in a black shirt and jeans with his trademark muffler, he looked quite fit and agile for his age.We have a few things in common - from being a KVite (Alumni of Kendriya Vidyalaya ) to studying Physics (Hons. ),love for the Fine arts and of course feeling strongly about social issues .Anyways, that was a fan moment for me and made my trip even more memorable .Let me now move on to Mathura city . The city of Mathura holds a lot of importance among Hindus as it is widely believed to be the birthplace of Lord Krishna - a Hindu God and the Eight reincarnation of Lord Vishnu .The legend goes that Lord Krishna's parents Vasudev and Devaki were held captive by his maternal uncle King Kans as a divine forecast had announced that the tyrant King Kams would meet his end through the hands of Devaki's eighth son .Kans in turn kept his brother-in-law Vasudev and sister Devaki jailed and killed all their offsprings as soon as they were born all except two.Lord Krishna was born in a Jail where from his father with divine intervention managed to sneak off from the fortress and handed over the baby Krishna to his good friend Nand Dev of Gokul Village. We stayed at Hotel Madhuvan and you can read my detailed review of the hotel here. Main attractions of Mathura city are Dwarkadheesh Temple, Shri Krishna JanmaBhoomi ,Jama Masjid, Kans Fort,Potara Kund and the Government museum of Mathura .Gokul, Barsana and Goverdhan are the other township associated with the legend of Lord Krishna. Because of time constraints I could only visit the Shri Krishna Janmbhoomi in Mathura . 1. Shoes, bags and mobiles are not allowed inside the temple complex . 2. Dress modestly though there is no dress code enforced . 3. Photography is not allowed inside the temple complex . 4. Prasad for offering to the Gods is available at shops inside and outside the complex if you wish to offer prasad for worship . 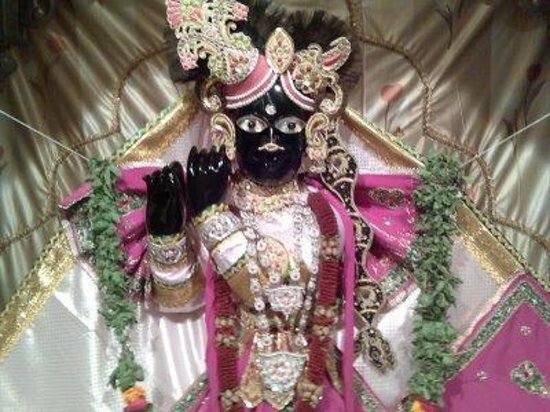 The whole of Mathura and Vrindavan has many such places of interest related to the life of young Krishna.The Shri Krishna Janmbhoomi as the name suggests is the place where Lord Shri Krishna was born . It was originally said to be built by King Vajra , the great grandson of Shri Krishna and later King ChandraguptaVikramaditya rebuilt it.Despite being looted and demolished by aggressors,the temple has been rebuilt 17 times,so strong has been the faith of the rulers and people here . The Temple is nestled next to Kesava Deo Temple and the Shahi Eid Gah Mosque. It is built like a fortress with the main Janmbhoomi area built like a prison having narrow corridors and high walls.Inside is a platform where it is said that Devaki gave birth to Krishna . Built in red sandstone ,the architecture is rather new fashioned and simple in style but the whole place has a tranquility and spirituality to it. The premises are clean,spacious (except the actual Janmbhoomi inside the temple) and maintained well . 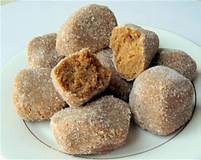 Food - Do try the Mathura ka famous pedha - a milk based sweet . Built on 54 acres of land and managed by Jagadguru Kripalu Parishat, an international educational, spiritual and charitable trust, this temple complex is dedicated to Shri Sita Ram and Shri Radhe Krishna .The foundation stone was laid by Jagadguru Shri Kripalu Ji Maharaj on 14 January 2001. It took 1000 artists and 12 years to build this beautiful complex.The walls are made of solid Italian white marble.The thickness of the walls of the Garbha-Griha ( the sacrosanctum ) is 8 ft to bear the weight of huge shikhar( Spire) Swarna Kalash and the Flag hoisted at the topmost point of the temple . The temple's exterior has 84 panels to display the events from the life of Shri Krishna as depicted in Shrimad Bhagvad Geeta - the sacred Hindu Book . They have beautiful lighting at night which makes the whole place come alive .The evening Arti is inclusive to all with Prasad being distributed and Tilak and garlands offered to the devotees too .All in all it becomes a place overflowing with a kind of cosmic energy, joy and universal love .The Kids specially loved the Live Jhankis ( tableau ). The mornings are equally beautiful here.One can soak in the architectural marvel and the white Italian marble work . The temple also has a restaurant , souvenir shop and restrooms for devotees . This place is very clean and well maintained which really impressed me . Shoes are not allowed inside but mobiles are allowed . You are not expected to cover up or wear a dress code. Word of caution - Evenings can be very crowded though because of ample space , it is not a problem. Bankey means “bent in three places” and Bihari means “supreme enjoyer.”Bankey Bihari Temple is dedicated to the Lord krishna's and was established by Swami Haridas , a guru of the famous singer Tansen. 1.It is said that once Swami Haridas sang a heartfelt verse in praise of the Celestial couple Shyama-Shyam (Radha Krishna) and the divine couple appeared in front of Shri Swami Haridas and his devotees. The legend goes that such was the beauty and brilliance of the couple that every one except the Shri Sawmi was blinded and mesmerised by the aura .Swami ji then requested the God to reduce their aura so that the devotess could regain their senses and so the divine couple merged into a single deity and left behind a black stone idol to be worshipped by the devotees .Thence a temple was built around the idol left behind by Shri Radha Krishna . To this day the curtain screening the Deity is not left open continuously like at other temples. But every few minutes, the curtain is pulled closed and then reopened for darshan respecting the age old tradition that protects the devotees from the blinding aura of the deity . 2. It is the only temple where loud temple bells are not used to awaken the Lord Shri Krishna from his slumber in the morning since he is considered still a child and allowed the luxury of sleeping late and is aroused gently . 3.The sewa (service ) of the Bihariji is performed in three parts every day i.e. Shringar ( Bathing and decorating the Lord with rich dresses and ornaments in the late morning ),Rajbhog ( offering a feast to the Lord just before noon ) and Shayan (Preparing the Lord for bed in the evening ). 4. The special Mangal-Arti is conducted only on Janmasthami. So Janmashthami actually is the day to visit for best darshan and the complete experience .Unfortunately the place is heavily crowded with no proper security measures to stem the flow of devotees .I would not recommend taking elderly or small kids at such times . 5. The revered feet of the Deity can only be seen once a year on Akshaya Tritiya (also called Chandan Darshan or Dolotsav), which falls on the on the third day of the bright half of the month of Vaishaka (April–May). 6.The full moon day of Autumn is the only day that the Deity holds a flute and wears a special mukut (crown). 7.Shri Bankey Bihari comes off his altar and can be seen in full view on the last five days of the month of Phalguna, during the Holi festival. He can be seen with four gopis, who are seen just at this time. The ten storey high Pagal Baba (The Mad Ascetic )Temple is a landmark structure in Vrindavan and was built by his followers .The temple is also famous for its puppet shows depicting the scenes from the life of Lord Rama and Krishna . The Jaipur Temple which was built by Sawai Madhav Singh, the Maharaja of Jaipur in 1917, is a richly embellished and opulent temple. The temple dedicated to Shri Radha-Madhav has beautiful and fine craftsmanship on red sandstone typical of the Jaipuri craftsmen . Fatehpur Sikri is located in the state of Uttar Pradesh and is just 39 km from Agra - the city of the Taj Mahal. It is well-connected by road to Agra and other major cities of the state. Agra has great road, rail and air connectivity. We were already in Mathura and it was 65 km by road so we went by road and reached Fatehpur Sikri in about one and a half hour . Fatehpur Sikri is a reminder that in the Darbar of the great Almightly ,even emperors can become beggars. 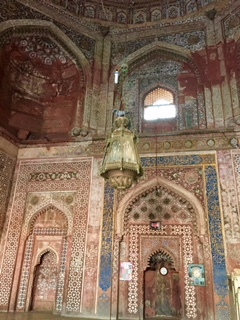 The great Mughal Emperor Akbar went down on his knees here to seek blessings from Khwaja Salim Chishti to beget a son.As fate would have it , he was soon blessed with a son who was lovingly christened "Salim "and later went on to succeed Akbar and rule the Mughal Empire . 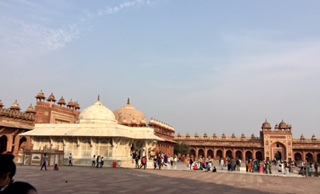 The Fatehpur Sikri Fort houses the tomb of the Khwaja as well as a huge mosque . Built in red sandstone and white marble and bearing the hallmarks of the same Mughal architecture - domes, arches and fine marble work - this place not only offers a glimpse of great craftsmanship but also has a soulful quality as the place is thronged by couples and people who still believe in the power of the Khwaja to grant their wishes . 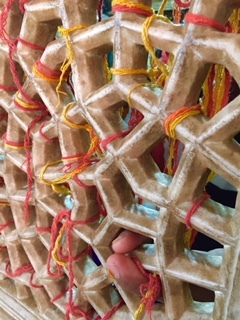 The Tomb of Khwaja Salim Chishti has Jalis (windows with lattice work ) around it and the belief goes that if a sacred thread blessed by the Khwaja is tied to these Jalis and a secret wish made, it shall come true.The believer is then supposed to return here and untie the thread when the wish is granted . The place is huge with lot of space to sit and take in the scenery.They have live Qawwaalis (devotional sufi music ) that add to the mystical aura of this place and make the whole place come alive with spirituality . 1. The place teems with hawkers and "guides" who will give you a half baked guided tour for as low as INR 100 and also try to take you to peddlers to get a commission through your purchases.So better to be alert and bargain hard . 2. The place is quite safe for women . 3. You are supposed to go barefoot (no shoes but socks are OK ) and can deposit your shoes outside for a charge (ask the charges before hand ). 4. You are needed to cover your heads before entering the tomb of the Khwaja and they provide free plastic head gear or you can use handkerchiefs and stoles to do the same . 5.You either need to walk up a steep incline after parking your vehicle (roughly a distance of about 1 km ) or take an eco-friendly rickshaw to reach from the base to the entrance of the monument .The Rickshaws are not free . 6. No entry charges are there. 7. One hour is enough to cover the whole area . Hope you found this article useful.I will be glad to learn from your experience if you too have been to these places. Please comment below to share your inputs. Wow! Thanks for sharinh such detailed article. :) I have learned quite a lot about Mathura. I will add it to my bucketlist. Hey Neil, I am sure someday you would see Mathura and Fatehpur sikri up close .Best of Luck . Wow !!!! this is an amazing post,Interesting facts about Banke Bihari Mandir are really amazing. Its really very nice to go through your experience. Thanks for sharing with so many details. 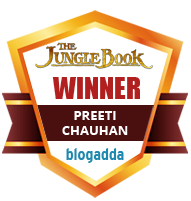 Thanks a lot for your kind words Jyotirmoy.I am happy that you liked it. Vrindavan is amazing. Its vibe and energy is on a totally differnet level. I don't like Mathura even a little bit compared to Vrindavan. I must say I agree with you .I prefer the lovely atmosphere of Vrindavan. Oh Tina , you should visit again as lot of new things have come up and the places are better managed now . QUite an informative post dear.. I have been to the trio and I can feel the change in air and a Godly vibe in Vrindavan's air. Radhe radhe! Radhe Radhe Judy, I went back after years and there has been a lot of development and streamlining in Mathura and Vrindavan,specially Vrindavan. If you go in the evening, you might feel the spiritual connect and peace in the atmosphere. This is such an informative post and so well-articulated. Great pictures too. Thanks for sharing! Thank you very much for your kind words and liking my post . Luckily these places are so well connected by road and air that ticking them off your bucket list might be quite easy. जहाँ कान्हा बसते हैं भला वहां कौन ना जाना चाहेगा. Bahut Sahi kaha aapne, Vrindavan is the city of divine love . 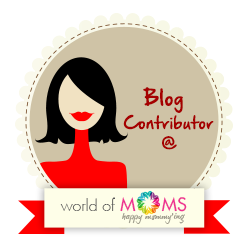 Thank you for sharing this post really great and wonderful article. You are talking about Mathura Vrindavan which are really well-written.